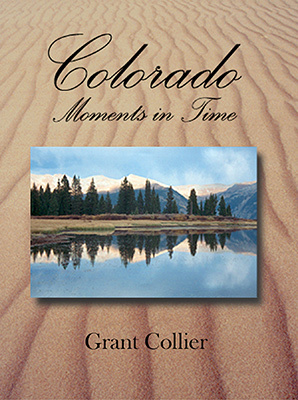 Colorado: Moments in Time, photography book. With over 160 full-color photographs, Colorado: Moments in Time is one of the most comprehensive photography books ever published on Colorado. This expansive volume includes unique views of the state's most popular attractions, such as the Maroon Bells, Rocky Mountain National Park, and the Great Sand Dunes. It also contains images of places that have never before appeared in a photography book, including several photographs taken on vast, unspoiled stretches of private property. In producing this book, author and photographer Grant Collier has tirelessly striven to capture the beauty and essence of the Colorado landscape. He has traversed every corner of the state, from the grasslands and prairies of the eastern plains to the canyons and mesas of the Western Slope. In the process, he has woven a portrait of Colorado unlike any that has been seen before. 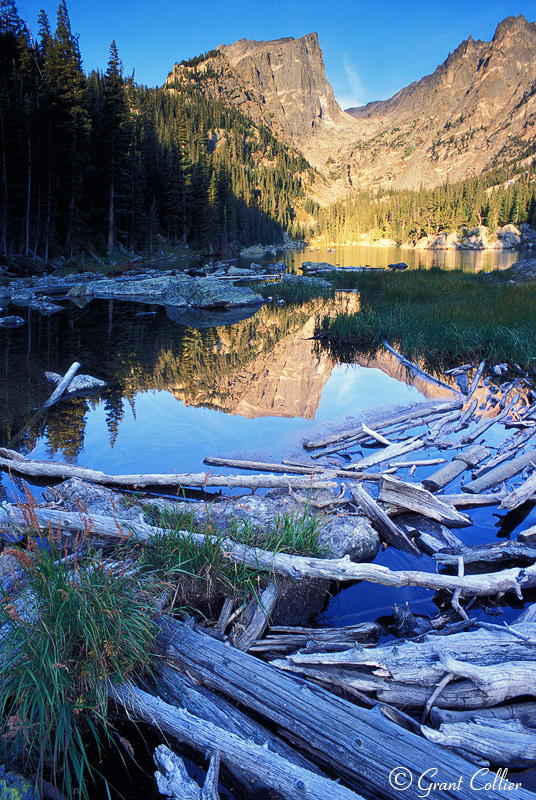 "An inspiration to anyone wishing to explore Colorado." - Art Wolfe, world-renowned photographer. "One hundred and sixty color photos of every part of the state showcase the beauty of the landscape as well as the considerable talents of photographer Grant Collier." - Book News, Inc.